According to news reports, a financial services expert with over forty years of experience in the industry has been sentenced to 14 years in prison having confessed to stealing up to $1.5 million from his clients. In March this year, The Times-Picayune reported that 71-year-old Ralph Savoie pleaded guilty to allegations of wired fraud citing the U.S. Attorney’s Office. The paper referred to court documents that showed that from 2013 to 2016, the ex-investment advisor promised clients huge returns by convincing them to invest in securities, insurance, and an industrial cooling tower project. However, according to the Times-Picayune, Mr. Savoie diverted the client funds for personal purposes such settling rent, restaurants, hotels and credit card bills, shopping for jewelry and using part of the funds to pay previous investors of the scheme. The publication also revealed that he even went further to invest part of the proceeds in a risky estate deal and failed to tell clients that he was barred by FINRA in September 2015. The Times-Picayune wrote that the illegal scheme came to a halt in March 2016 when one of the clients pressured Savoie to disclose how his invested funds were used. A quick check at Savoie’s BrokerCheck profile shows that the former advisor started his journey in the financial services industry in 1973 and worked at 12 different firms during his career. 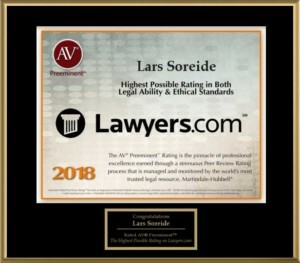 According to BrokerCheck, Savoie had no disclosure records prior to March 2015, when a client claimed that the financial expert had sold him a fraudulent life insurance policy and wanted $208,294 in damages. The case is still pending as at the time of the report. His profile also noted that in the same year, Cambridge Investment Research, who has been Savoie’s employer since 2013 fired him for allegedly failing to disclose external business activities and receive approval for them. In 2015, Savoie was finally barred by Finra for his inability to co-operate with the relevant authorities during an investigation following allegations against him for misappropriating over $665,000 from clients and according to BrokerCheck, he was barred by SEC in July this year for pleading guilty to wire fraud. Brandon Fremin, a U.S. Attorney in Baton Rouge said Savoie will also serve a three-year supervised release, pay his victims $1.1 million in and forfeit $1.1 million in a settlement in addition to the prison sentence. And according to Times-Picayune, he was immediately taken into federal custody on Tuesday after the sentence.